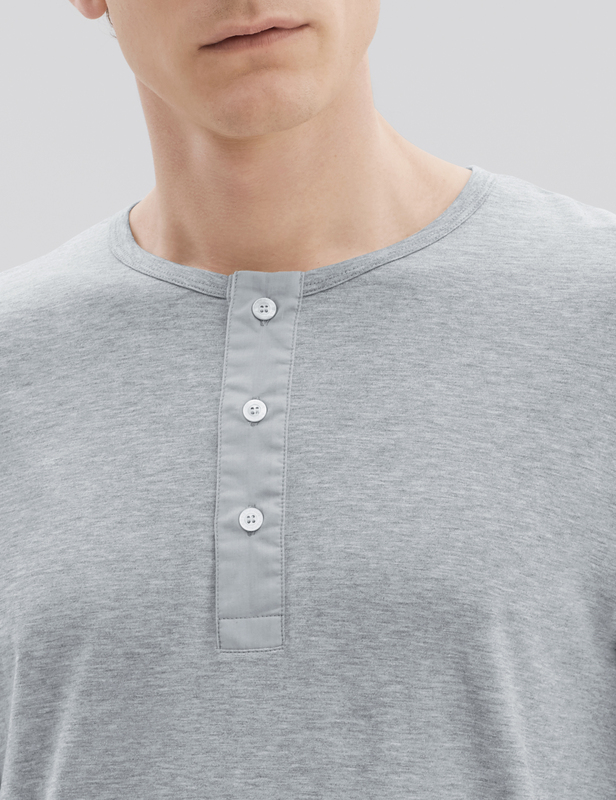 Our PJ style henley is handmade from premium mid weight jersey. 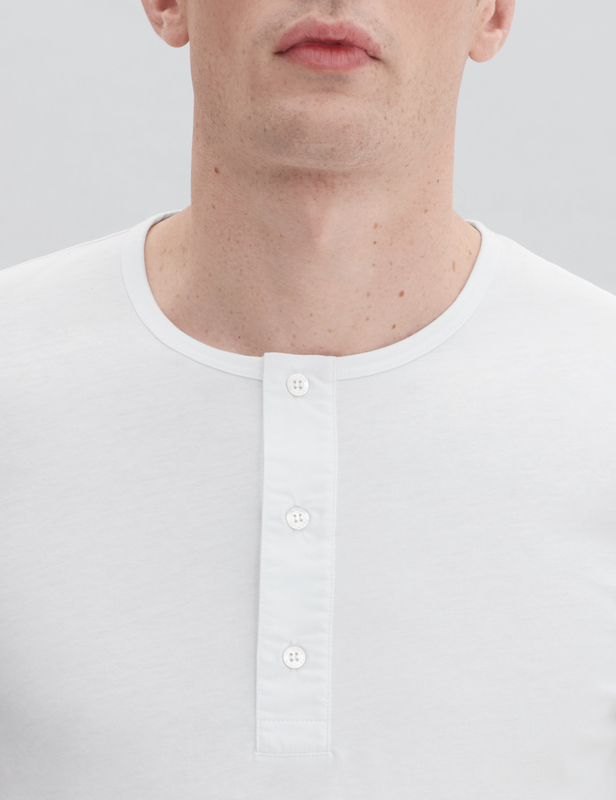 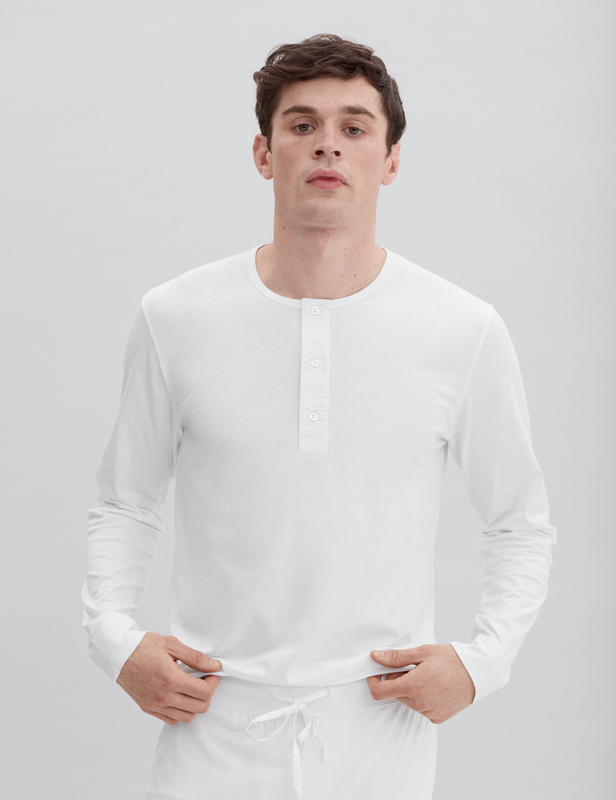 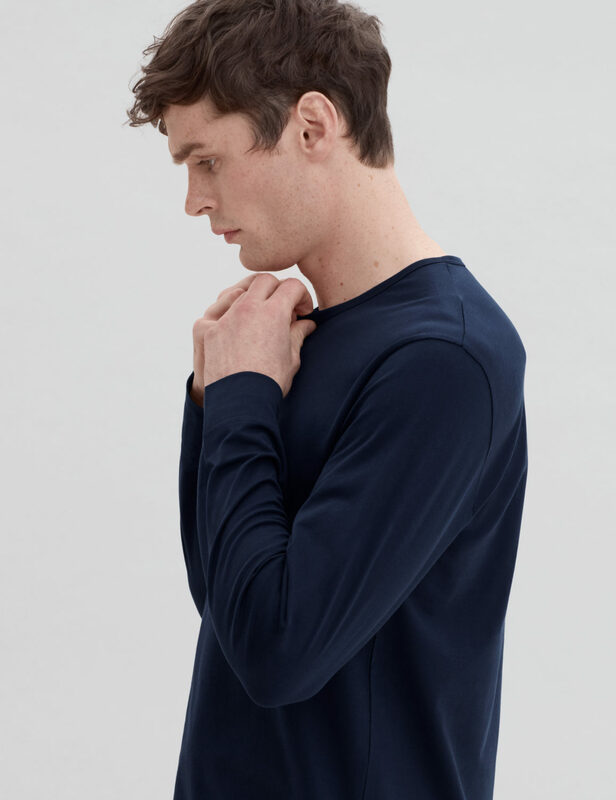 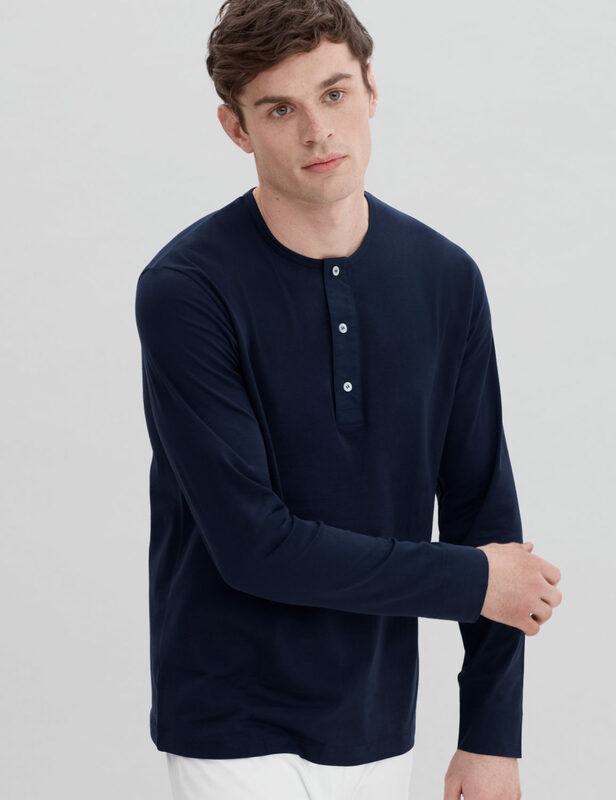 Designed on special request from Mr Porter, this long sleeve three-button henley is unmistakably refined with woven poplin fabric details on the placket and Mother of Pearl branded håndværk buttons. 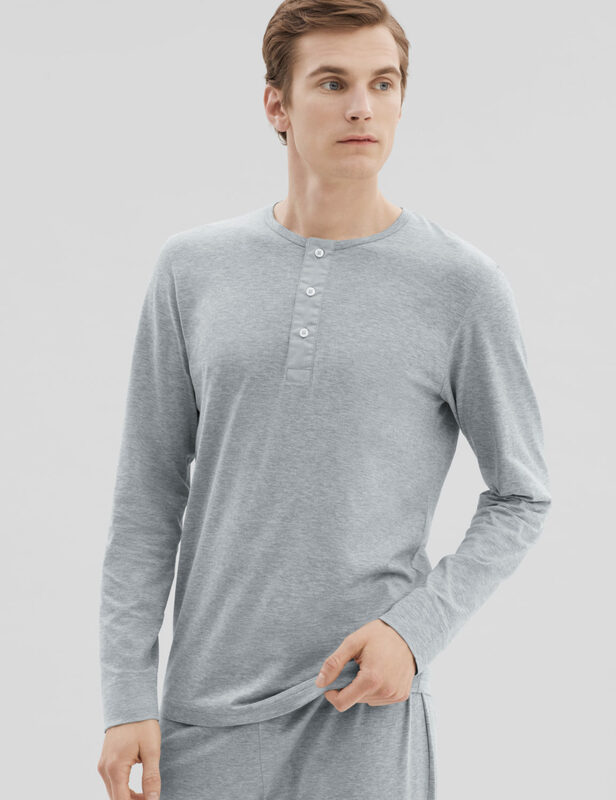 Try this tee as a stylish loungewear piece or wear it out as a lightweight layer.